Porcupine quills might seem more hurtful than helpful – but researchers at MIT and Brigham and Women’s Hospital are examining the structure of the spines for use in the medical field. For the first time, scientists have characterized the forces needed for the quills to enter and exit the skin and have created devices mimicking their characteristics. The designs are the first steps towards less painful needles and stronger adhesives. This will particularly benefit patients who have undergone such delicate internal surgeries as most of their wounds are currently held together with sutures or staples that can leak, or adhesives that can cause adverse reactions. 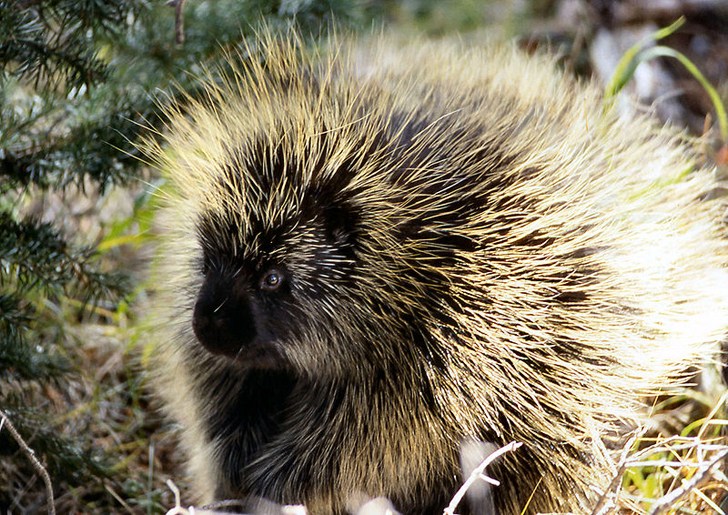 The next time you come out of surgery, you may have the North American porcupine to thank for your recovery. The animal, which has 30,000 barbed quills, could hold the secret to a new class of medical adhesives and, ironically, painless needles. 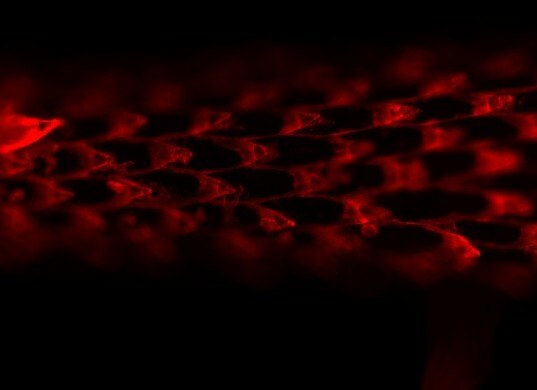 Each spine is several centimeters long covered with microscopic barbs. These tiny hooks make it very easy for quills to enter the skin, but extremely difficult to remove. Each barb acts to localize penetration forces and anchor itself inside the body. Researchers led by head scientists Jeffrey Karp, Robert Langer and Woo Kyung Cho published their examination of the porcupines prickles in this week’s Proceedings of the National Academy of Sciences. To test the possibility of making new adhesives, the researchers created a patch with barbed quills on one side. They found that the energy needed to remove the patch was 30 times greater than that which had no barbs at all. They believe that the design could be adapted to be easier to remove than a quill so that new types of needles can be fabricated to enter the skin with more ease and less pain. The researchers are presently working on creating their quill-inspired adhesives from biodegradable materials which can be broken down by the body. Porcupine quills might seem more hurtful than helpful - but researchers at MIT and Brigham and Women’s Hospital are examining the structure of the spines for use in the medical field. For the first time, scientists have characterized the forces needed for the quills to enter and exit the skin and have created devices mimicking their characteristics. The designs are the first steps towards less painful needles and stronger adhesives. This will particularly benefit patients who have undergone such delicate internal surgeries as most of their wounds are currently held together with sutures or staples that can leak, or adhesives that can cause adverse reactions.